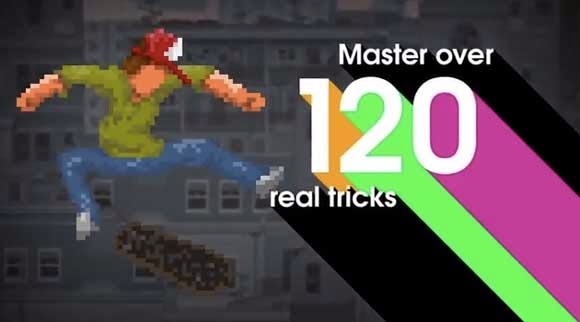 If you're already bored of all those skateboard games that feature high end graphics then you might want to sit back and get a little pixel art in your game with OlliOlli. This retro platformer for the PS Vita will let you do all kinds of tricks and even jump over a T-Rex. If you ask me jumping over the dinosaur is good enough but you can also expect great music and a couple of challenges that will take you to the top of the global leaderboard. Anyways, it's not like I can even skate in the real world with my current weight and calcium deficient bones. So if you're like me go ahead and check out the trailer for OlliOlli after the break and just live out your skateboarding days on the PS Vita.